Pair a pound of wings with an iceberg or draught beer and enjoy the ocean view and the outport setting. During summer, Captain's Pub is the setting for nightly shows shows except Sunday nights, starting 8:30 pm. 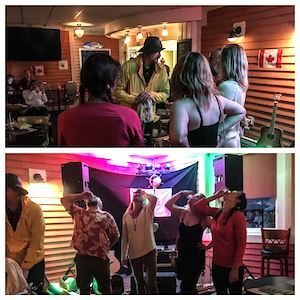 Get the Captain to screech you in as an Honorary Newfoundlander! Check the Anchor Inn Hotel website for the live entertainment schedule. Relax with a local draught.